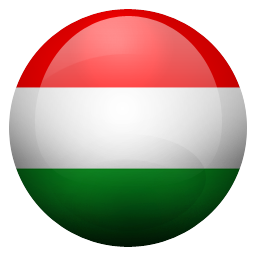 Market-leading company in the field of development of banking services and applications in Hungary, fully in Hungarian ownership. Development and operation of M2M systmens, mainly in the field of agroinformatics and security technology. Also, development and operation of healthcare-realted software, combined with consultancy support. Main fields of activities are software development, software operations, support, system development, management of construction works of buildings. Main fields of activities are development of business applications, product development; mobile application development for iOS, Windows and Android platforms; business intelligence solutions, nearshore software development. Main fields of activities are development and marketing of software products in the SME markets, multi-platform products: SMART design, CRM solutions. Main fields of activities are operations development, process desig and project management to meet strategic objectives. Implementation of technology-driven business solutions to support the improvement of business skills. IT system development. Main fields of activities: manufacturing of metal structures (steel grades S235J0, S355J2G3), manufacturing metal structures made of fine-grained steel for CNC turning lathes. Main fields of activities are education (BA, MA and PhD levels), research and development. Main fields of activites are artificial intelligence-based solutions for optimisation of logistics, forecasting, business solutions, data-mining and support for business decision-making. Main fields of activities are payment and transaction processing solutions to financial institutions, retailers, service providers and individual consumers including comprehensive ATM, POS and card services, software solutions, cash-based and online-initiated consumer-to-consumer and business-to-business money transfer services, and electronic distribution of prepaid mobile phone time and other prepaid products. Main fields of activitites are Development of QuallityGate, a comprehensive software quality assurance and source code analyis solution; complete system testing; planning, execution and turnkey handover of applications, international QA training. Main fields of activities are development of the integrated operations management system Forrás, 3D Tire Scanner, production and process management systems for transport companies and in agriculture, bus scheduling software for transport comanies, mobile businesss intelligence applicatioin to Forrás software, training centre related to Forrás software. Main fields of activities are development and testing of telemedicine systems, implementation of clinical trials, deployment of sensor networks. Developemnt of C#-based desktop applications, .NET-based web applications (MVC, WEB.API), applications for Windows Phone, and Windows 8.1 applications. Main fields of activitites are customised software solutions, self-developed Enterprise Management System – called PEAS – designed specifically for Hungarian SMEs, system monitoring, RFID applications, system integration, hosting, website development, VOIP, E-invoicing services, CASS, project management system. Main fields of activitites are software development, infromatics systems operation. Products developed by the company: ProAnt (software designed for grants financial management), LiLab (living lab project management system specifically designed for the development of telemedicine systems), LessON (online course attendance monitoring system with mobile support). Main fields of activitites: offset printing, digital printing, graphic design, promotion campaigns. Products of the company: promotion publications, books, periodicals, product packaging, office stationery, variable-information related products. Mainf fields of activities: Software development, software design, IT system design and IT infrastructure deployment, operational support, projectmanagement, change management, process management. Main fields of activitites: Leading security service provider in the region. Smokeshield protection system, GPS vehicle tracking, alarm systems, full-range security service from the design to implementation of the system. Remote security monitoring service. Main fields of activities are business consultancy and development of integrated front-end and backend applications and software solutions for the banking industry, covering the entire lending lifecycle and risk management activities of the financial services institutions (banks and leasing companies). Main fields of activitites are developer of the complex IT system called Qulto, in the field of cultural heritage and knowledge management. Product and customer support, hotline service, custormer-relations, training related to Qulto. System design and development, system integration and monitoring, content development and delivery, e-learning content development, digitisation (2D, 3D), 3D modelling, printing, data migration, social media integration, exhibition design, workflow design. Main fields of activities are development of software solutions for retail and business entities (Online Music/App Stores, InFLOW; Revo•ED, FoundryBox Live, Nearshoring Solutions, FieldBack, SOFIA Enterprise Application Platform). Participating in several successful research and development projects, for exapmle LeOnEditor, Promocio, Visitor. Solutions for digital asset management, support of field-work and on-site data collection, software erosion protection. Main fields of activities are development and integration of Intelligent Transportation Systems for the public transportation sector as a full service provider. Hardware integration from third party manufacturers, development of passenger information systems for urban and long-distance transport; development of fleet management system; development of intelligent vehicle monitoring and control systems; AVL software development, onboard integration of devices (e.g: passenger counter, ticket machine terminals, passanger information devices, contactless smart card). Main fields of activities are online marketing strategy, Google Adwords campaigns, search engine optimisation, website audit, creative media service, application development, online helpdesk, intranet solutions, B2B solutions, webshops, CMS systems, e-learning, HR solutions, career portal. Main fields of activities are leased line internet service, OptiPhone VoIP service, server deployment, IDSL-HotSpot services. 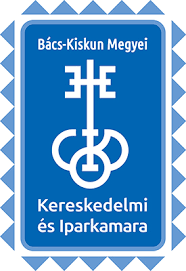 address: 6000 Kecskemét, Kisfaludy u. 8. 1st floor 6. Main fields of activitites are education (BA, MA and PhD levels, dual education), training courses, research and development, research services, provision of laboratory and instrumental capacities for research activity. Main fields of activities are software development; design and development of multilayer data-intensive systems; application, cutomisation and testing of Rational products and related Rational Unified Process methodology. IBM Advanced Business Partner since 2005, official IBM trainer. Development of the BürOffice program package, which is a dokument and work-flow management system, in addtion to Business Navigator Operative CRM system designed for financial and public utility companies. As one of Hungary's largest enterprise business application developer companies, R&R delivers integrated, comprehensive and customized ERP solutions, loaded with industry-specific functions and abilities; Business Support Systems with customer relationship, product and service management, mass billing, and revenue assurance functions to public utility, infocommunication and financial service provider companies, and public city works company groups or holdings; CRM with integration interfaces; Business Analytics solutions that help organizations and businesses of all sizes discover new ways to strategize, plan, optimize business operations, and capture new market opportunities; and solutions related to Enterprise Mobility Management, Electronic Document Management, Supply Chain Management and Integrartion, Infrastructure Integration Services, Energy Management, Green-field application development, Outsourcing and nearshoring. Main fields of activities are official distributor of Norton Family Parental Control Software. Wireless telecommunication service, electronic and telecommunication network deployment, computer programming. Main fields of activities are development, deployment and operation of integrated sub-systems for institutions and urban governance in the framework of TITAN development environment. Maintenance and supervision of the extensive intstitutional network of the Municipality of Szeged, operation of the related services (mail, ftp, content and virus filtering, vpn, network services). Consultancy, system integration, customer relations, supply of equipment. Main fields of activities are development of solutions for logistics, including customising the IT system, designing warehouse logistics processes, planning workflow, designing and executing warehouse technologies and selecting and delivering electronic installations that support picking. Products: StoreIS (a general wholesale logistical system), StoreOpt (optimization and simulation for the operation of wholesaler picking warehouses). Development of software solutions for the specific IT needs of pharmaceutical wholesalers. Product: PharmaLog (designed for pharmaceutical wholesalers). Deployment and maintenance of PharmaLog system, and related support. Supply of a wide range of IT equipment, including high-value servers, network deployment, software equipment. Main fields of activitites are education (BA, MA and PhD levels, dual education), training courses, research and development, research services. Main fields of activities are development of framework systems supporting digital education, digital content development. Development of mobile applications (iOS, Android, Windows), augmented reality mobile applications, web-based services and administrative systems, games, animation and educational videos. Fields of Activities: Through a personal referral system, the Chamber supports the day-to-day business with continuous, direct contact. It provides general representation of business actors, enterprises and the different sectors of the chamber. Providies a wide range of services for its members and non-members. address: 6726 Szeged, Fő fasor 52. Fields of Activities: Development of CORRECT - a complex, networked, integrated, day-to-day business administration and work-flow management system; personalised webshop and website development; maintenance service; hardware and software retail and wholesale trade. address: 1031 Budapest, Kazal u. 22. Fields of Activities: Mainly provides IT services and application software development in banking, insurance, and finance. Services also offered: IT project management, IT systems design, Analysis of business and IT processes.